The virtual office is one of the most affordable ways to fund office space. If you live in or near a large city, the cost alone to lease office space can be expensive. Then, throw in the commute, and really not only are you spending a fortune on office space, but you are also wasting a lot of time in traffic. In Jakarta, businesses can greatly benefit from a virtual office that can help give them access to a number of tools. Typically, virtual offices come with a variety of amenities, but the two basics are an internet connection and a physical address. Add-ons can include having access to office space in some of the most prestigious buildings in the city or help with business registration. When taking a lease for a virtual office in Jakarta – Servcorp is one of the premium service providers in the region. With Servcorp, your business will also get the benefit of having access to offices around the world. In any case, those looking to lease a virtual office in Jakarta will find the area a thriving business centre. Let’s take a closer look at the ins and outs that go along with leasing a virtual office in Jakarta. This area is commonly called the Golden Triangle because it houses a number of businesses, retail centres, and diplomatic organisations. It extends from South Jakarta to Central Jakarta and is bound by Thamrin Avenue-Sudirman Boulevard, Rasuna Said Avenue, and Gatot Subroto Avenue. Those looking to open an office in the area will be pleasantly surprised to find that the area is one of the fastest growing in the area. Of the city’s landmarks, the major buildings are the International Finance Centre (IFC), The World Trade Centre, and the Sahid Sudirman Centre. These buildings not only contain an impressive list of businesses, but they could also be your business address. While being a place for business, you can actually enjoy the view of Jakarta’s skyline, especially if sitting in one of the offices in the IFC, which towers above the Golden Triangle. 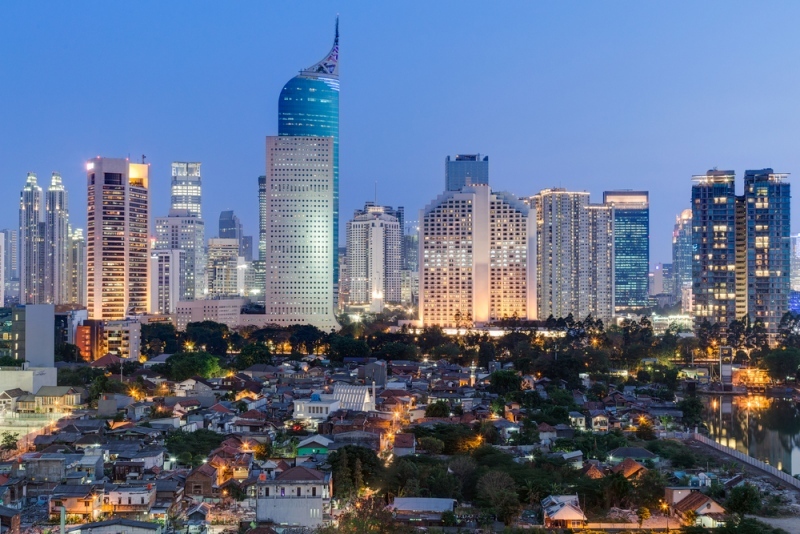 Jakarta is rapidly becoming a hub of finance and business, and the reality is that to occupy an office in the area businesses are going to spend a lot of money on office space. The virtual office through many of more established serviced offices can give your business office space, a physical address in an esteemed location, the ability to use office space in other locations, and a number of other amenities at a drastically reduced cost. This accessibility is important because the closer to the CBD and the hubbub of business the more information you receive regarding the markets and the more opportunities you get to meet with other influential professionals in the area. However, there is one added perk – the office’s versatility. The virtual office lightens the load of the traditional office by removing the responsibilities associated with leasing an office. The lease’s all-inclusive plan allows businesses to pay just one bill at the end of the month. Furthermore, the leases are very flexible allowing for shorter leasing terms, if going with a serviced office. Finally, these offices are probably some of the easiest to scale up because the serviced office lease will allow you to modify the terms, so you can move into a coworking space or a virtual office. The virtual office in the city can plant your business in the middle of the CBD while giving you access to esteemed office space on an as-needed basis. Through the office’s internet connection, you are in many cases guaranteed a secure connection to the online community, allowing you to reach into the limitless landscape that makes up the internet. Ultimately, the virtual office affords you the freedom, flexibility, and versatility to manage your business from any point in the country and the world.